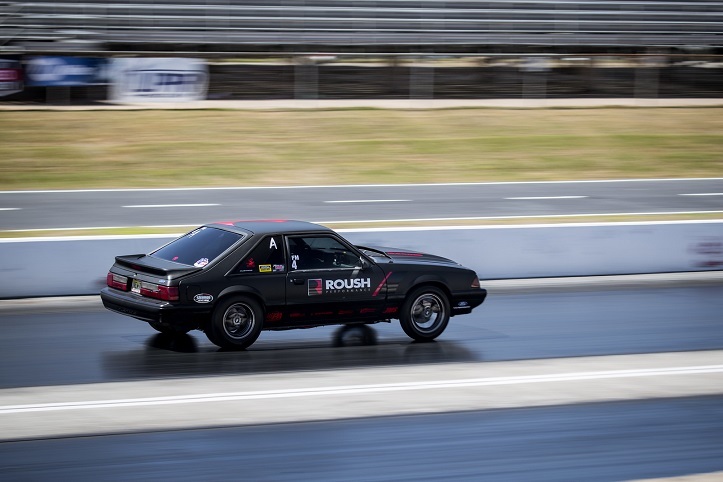 This past weekend, the NMRA/NMCA All-Star Nationals took place at Atlanta Dragway in Commerce, Georgia. 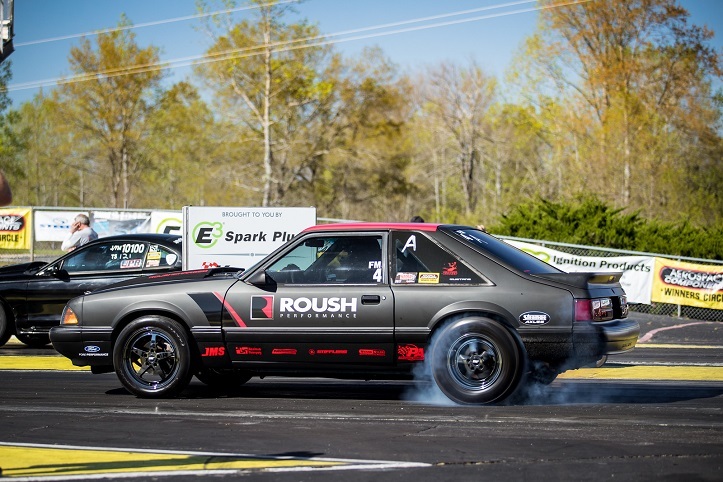 ROUSH Performance writer and PR specialist, Stephanie Davies, attended to race her drag car that we call “ROUSH Fox” – a 1992 Mustang built in-house here at ROUSH Performance in conjunction with Brenspeed. The Mustang is powered by a 2012 5.0L Coyote engine topped with a Phase 2 ROUSH Supercharger. 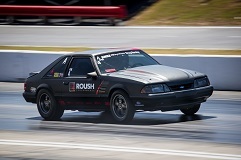 Davies races ROUSH Fox in the National Mustang Racers Association (NMRA) Ford Muscle class. In Atlanta, after three qualifying runs, she earned the second qualifying position with a 10.518 at 130.95 mph on a 10.50 index. 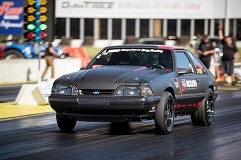 Her first round of eliminations pitted her against a 1998 Mustang GT, which she defeated with a 10.800 pass. Second round gifted Davies a bye thanks to her high qualifying position, and in semi-finals, she defeated Danny Towe in a double break-out run with a 10.495 pass. 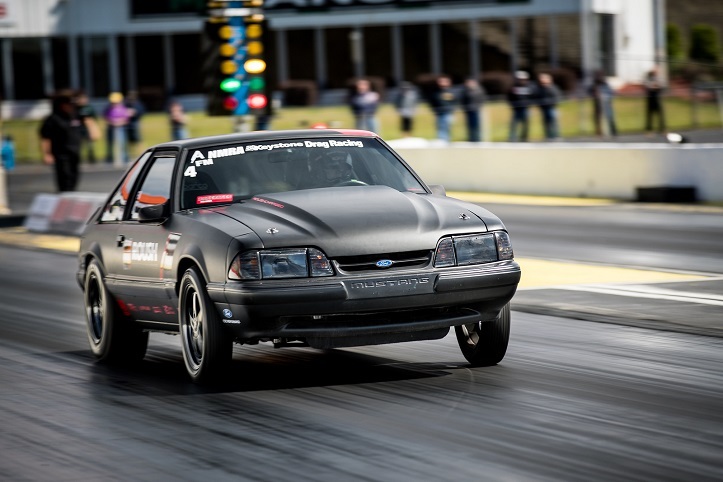 The finals found her in the left lane of Atlanta Dragway against a competitor running in a 12.00 index. While Davies ran a 10.576 at 130.77, a better run when compared to the 12.132 of her competition, leaving late at the light cost her the win by a mere .0831, and secured her runner-up position. Davies ended the weekend with the fastest elapsed time and top speed in her class, and gained valuable points to move her up the ranks. The next race, the NMRA Ford Motorsport Nationals, will take place in Reading, Pennsylvania, May 4th to 7th.